David Karwan is a graphic designer, currently working for the Los Angeles County Museum of Art (LACMA). He received his BFA in Graphic Design from Western Michigan University and enrolled in CalArts' graduate program after working for various small studios in San Francisco and New York to connect his interests and curiosities with more thoughtful executions. David's interests lie in random bits of typography from magazines, music packaging, building signage, and ephemera like transportation tickets. 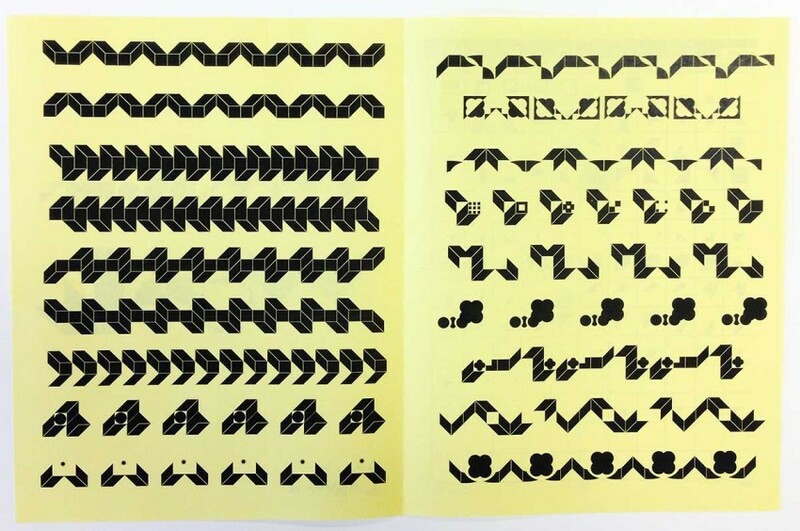 At CalArts, he investigated how type could be used as image and/or as words and worked with Mark Owens, Ed Fella, Lorraine Wild, and Michael Worthington. In Mr. (Jeff) Keedy's digital type design class at CalArts evolved a ornament system project which morphed into his “thesis” project. Wonk is a mix of 2 and 3D geometric and biomorphic forms generated to create surprising patterns. Spontaneous or controlled, this modular typeface enables a user to construct various simple or complex shapes into letterforms. Conceptually, this font is a type treatment that both subverts a kit-of-parts and subverts parts into a kit. Some first letterforms of Wonk. What were you exploring with this project? While developing this in Keedy's class, I was concurrently researching funky modular design and stockpiling axonometric drawings. I was looking at lots of 1970s (and present-day) Italian furniture, the work of Alvin Lustig, Rube Goldberg machines and getting into all those old FUSE publications, Matthew Carter's typeface for the Walker, and Paul Elliman's "Bits". What discoveries did you make with your process? Everything started to blend together and I became curious about "customizing" form from ubiquitous uniformity and how one could reassemble geometric and biomophic shapes to create letters? My main interest (still) and the results of all those late nights materialized into subverting a kitofparts, or constructing subverted parts into a kit, to generate a flexible functioning tool which allows for typographic experimentation. Through the process, I became really interested in building tools or creating a tool that allows for multiple outcomes—looking back on it now, I think this was a subconscious reaction of osmosis from being around Ed Fella and seeing how he thinks, works, and endlessly creates. I have to laugh, because the "typeface" is an absolute pain to use, but I love how play, discovery or doing things a little out of whack can get somewhere interesting. The second part of my thesis became more about distributing the “font” to others and having different designers discover and create… and in turn teach me different ways to use it. Take a look at the poster series, a set of 12, using the Wonk typeface designed by David Karwan.